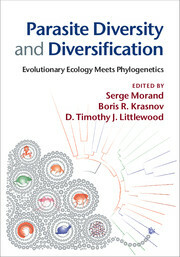 Reflecting the enormous advances made in the field over the past ten years, this text synthesizes the latest developments in the ecology and evolution of animal parasites against a backdrop of parallel advances in parasite systematics, biodiversity and life cycles. 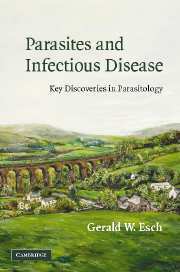 This second edition has been thoroughly revised to meet the needs of a new generation of parasitology students. 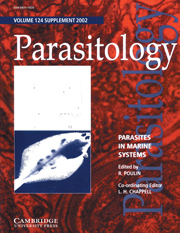 Balancing traditional approaches in parasitology with modern studies in parasite ecology and evolution, the authors present basic ecological principles as a unifying framework to help students understand the complex phenomenon of parasitism. 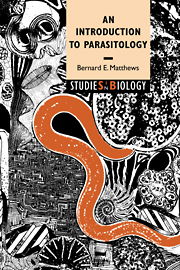 Richly illustrated with over 250 figures, the text is accompanied by case study boxes designed to help students appreciate the complexity and diversity of parasites and the scientists who study them. 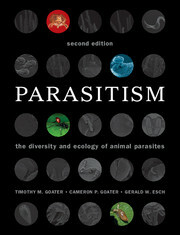 This unique approach, presented clearly and with a minimum of jargon and mathematical detail, encourages students from diverse backgrounds to think generally and conceptually about parasites and parasitism. 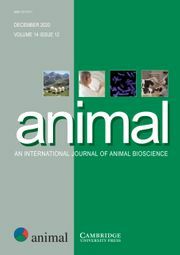 Timothy M. Goater is Professor and former Chair in the Biology Department at Vancouver Island University, British Columbia, Canada. During the past twenty years he has taught courses in introductory biology, parasitology, ecological parasitology, invertebrate zoology and entomology. 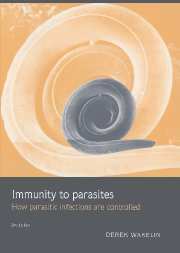 His research interests focus on the population and community ecology of parasites. Cameron P. Goater is Associate Professor and former Chair in the Department of Biological Sciences at the University of Lethbridge, Alberta, Canada. His parasitological research roots are in the community ecology of helminths of waterfowl on the Canadian prairies and over the past fifteen years he has taught courses in introductory biology, invertebrate biology, field biology and symbiotic interactions. His current research interests are in the experimental ecology of helminth-host interactions. Gerald W. Esch is Charles M. Allen Professor of Biology at Wake Forest University, North Carolina, USA, where he has taught for forty-seven years. 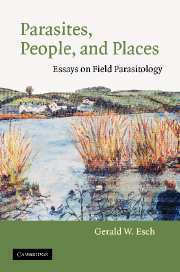 He is widely regarded to be one of the world's leading ecological parasitologists and served as Editor of the Journal of Parasitology for nineteen years.